Despite higher rates of poverty in rural areas, the incidence of food insecurity in urban areas (as measured by food energy deficiency) can equal or surpass that of rural areas. In times of food price crisis, to focus primarily on rural food insecurity and agricultural production can be shortsighted. 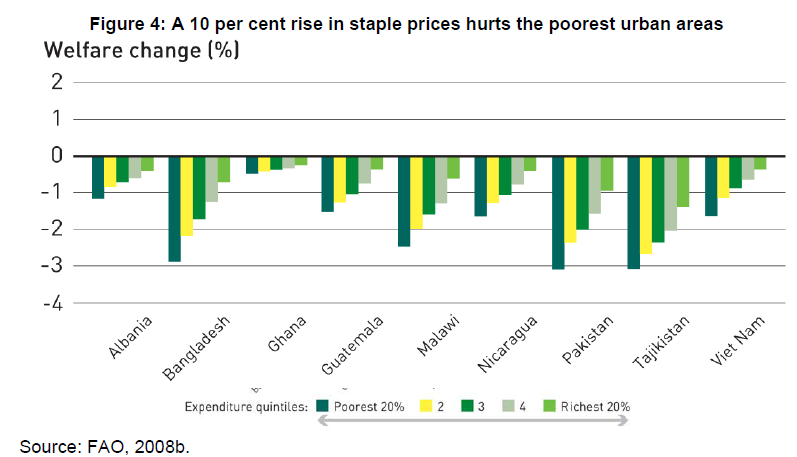 The following table illustrates this situation in 12 of 18 selected low-income developing countries. Target 2.2: By 2030, end all forms of malnutrition, including achieving, by 2025, the internationally agreed targets on stunting and wasting in children under 5 years of age, and address the nutritional needs of adolescent girls, pregnant and lactating women and older persons. Despite slowly falling urbanization rates, virtually all population growth over the next 25 years will be in urban areas, over 90% of which will be in developing countries. (UN Habitat State of the World Cities 2012-2013). (UNHABITAT.org) Cities of the developing world are adding 70 million residents per year and by 2050 the total urban population of the developing world will more than double from 2.5 billion to 5.3 billion. 86% of the population of the more developed regions and 67% of the less developed regions will be living in cities and towns. 1/3 of the developing world’s urban population lives in slums (UN Habitat Global Indicators Database 2012). In Africa over 60% of the urban population lives in slums, in Asia 30%, in Latin America 24%. Many countries have enough food for the entire population but the poor have much less access to sufficient quantities of nutritional food. Urban food insecurity is strongly linked with urban poverty. While most studies of developing countries show higher rates of malnutrition in rural than urban areas, they indicate hunger can be found in urban areas as well. According to UN Habitat: “The relatively low prevalence of malnutrition in urban areas, as measured by the prevalence of underweight children, conceals significant differences in food security across socio-economic groups: this low prevalence also conceals the fact that poverty can have remarkably similar practical effects in rural and urban areas.” (UN Habitat: State of the World’s Cities, 2010-2011) (p.100). Most cities, even in the developing world, have enough food to feed their populations. Large “mega cities” source their food domestically while importing high end foods in demand by those in higher income brackets. Secondary cities are often closer to domestic sources of food in the rural areas and import less from abroad. Hunger is endemic among both the urban and rural poor in many countries in Sub-Saharan Africa, Asia and Latin America. Families in urban slums and squatter settlements often suffer from worse conditions than those living in rural areas, where malnutrition among children of the poorest income brackets is more than twice as high as for those in the highest income brackets. In the poorest countries of Sub-Saharan Africa, malnutrition among urban slum children can be as high as four times that of those living in non-slum areas. (UN Habitat). Financial: depreciation of the US dollar. Price rises attenuated somewhat in 2010 by began to increase again in 2011 to levels beyond those of 2008. 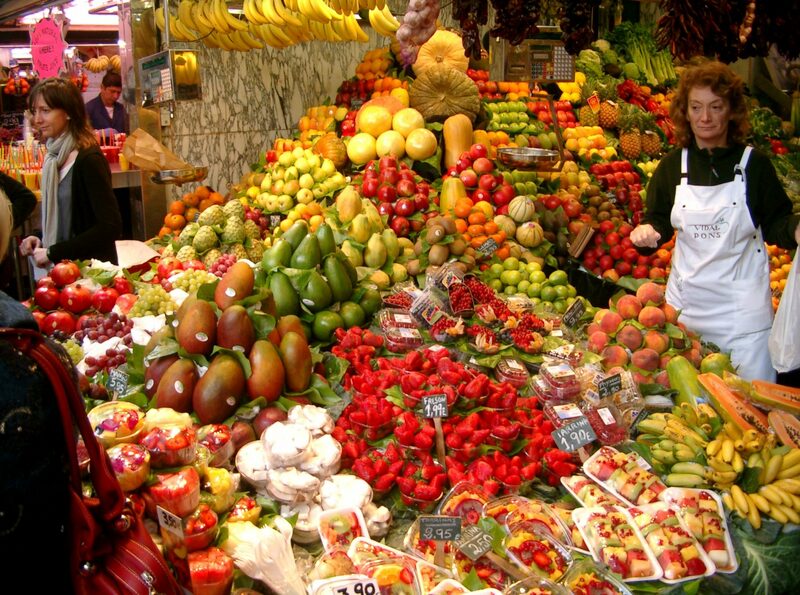 The urban poor are particularly vulnerable to food price volatility. Consumption patterns change as families move from rural to urban areas –increasing their intake of cereals, particularly wheat and rice at the expense of maize, cassava and sorghum. Urban consumers also begin to diversify their diets, to include higher cost meats, fish, poultry and dairy products as well as vegetables such as tomatoes beans, spring onions and other leafy greens. They also, for reasons of convenience, purchase more processed (but less nutritious foods) that include cooking oils, fats and sugars. Time-pressed urban consumers also turn to more street foods and informal restaurants where food quality can be compromised. (Giddings: Unpublished paper for the Partnership to Cut Hunger and Poverty in Africa, 2012). All of these factors can lead to higher prices for food in urban areas and unless incomes increase proportionately, the urban poor find themselves continuously struggling to secure adequate nutrition for their families. The following table indicates that it is the poor who suffer the most from food price spikes. 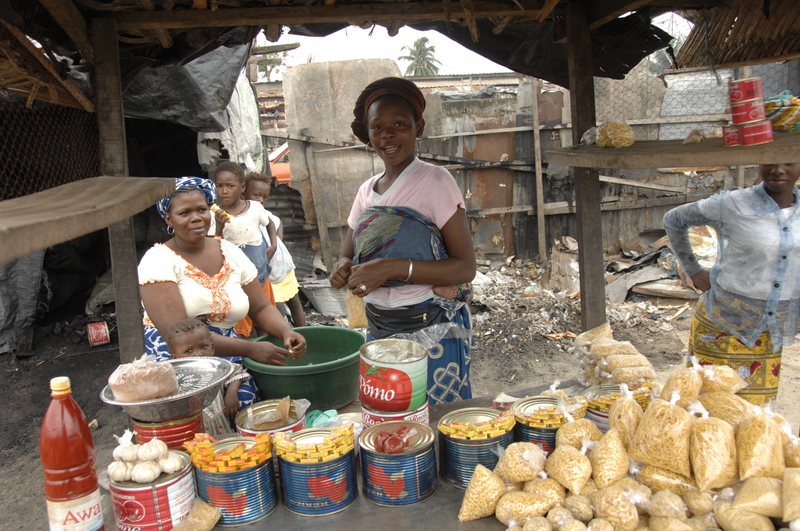 While the recent food price spikes have highlighted the plight of the urban as well as the rural poor, UN Habitat’s Monitoring Urban Inequities Programme (MUIP) has shown that serious malnutrition has been widespread among the urban and rural poor since 1990 in various African Asian and Latin American countries. Malnutrition rates in most poor rural and urban areas have in some cases approached 20 times the 2.3% rate expected in healthy well-nourished children. (UN Habitat: State of the World’s Cities 2011-2012). Many of the urban poor face structural food crises on an on-going basis, exacerbated during spikes in price or scarcity of supply. Since most of the urban poor do not produce food, they cannot cope with food price volatility and supply in the same way as rural populations. Unless they can raise their incomes, during times of supply shortages or higher prices they find themselves increasingly vulnerable to the prospect of malnutrition. UN Habitat notes: during periods of shortages “poor urban families often gave to use up to 70% of this income to purchase any food that is available, forcing them to reduce spending on education, child care [and other non-discretionary items.] In the most deeply affected countries families eat fewer meals, sometimes not eating for whole days and children stop going to school as parents save on fees to pay for food.” To make ends meet, during times of crisis desperate urban poor families are sometimes forced to sell of productive assets, further impoverishing themselves. (State of the World Cities 2011-2012). The consequences of malnutrition in children are dire. The most common manifestation is stunting. While conditions vary across countries, a 2012 study of two Nairobi slums, supported by the Wellcome Trust and the Bill and Melinda Gates Foundation, highlight the issues. The research confirmed that food poverty is a strong determinant of child growth. In the two slums, 60% of children aged 15 months or older exhibited symptoms of stunting. Under five mortality in Nairobi’s slums is 151 per thousand births compared to 62 in Nairobi as a whole and 113 in rural Kenya. NCBI.gov (Child Growth in Deprived Urban Settings by Jean Cristophe Fotso et al.). For those who survive, stunting and undernourishment impact a child’s life forever, limiting educational attainment and future employment possibilities and consigning the family to increased health care costs. While improving urban food security in developing countries is primarily the responsibility national governments, the international community can play a facilitating role. International donors should ensure they include an “urban optic” in developing food security strategies. Multi-lateral institutions should ensure infrastructure development projects consider the bottlenecks to improved urban food security. UN organizations and other international organizations (e.g. IFPRI) can provide technical assistance and research to national governments on the causes of urban food insecurity and propose remedial measures. Relief organizations can assure urban at risk populations are not overlooked in times of crisis. Government trade policies should refrain from imposing export bans, import subsidies and other restrictions in times of poor crop yields. Bio-food policies should also be reexamined. Despite slowly falling urbanization rates, virtually all population growth over the next 25 years will be in urban areas, over 90% of which will be in developing countries. (UN Habitat State of the World Cities 2012-2013). (http://mirror.unhabitat.org/pmss/getElectronicVersion.aspx?nr=3387&alt=1) Cities of the developing world are adding 70 million residents per year and by 2050 the total urban population of the developing world will more than double from 2.5 billion to 5.3 billion. 86% of the population of the more developed regions and 67% of the less developed regions will be living in cities and towns. The consequences of malnutrition in children are dire. The most common manifestation is stunting. While conditions vary across countries, a 2012 study of two Nairobi slums, supported by the Wellcome Trust and the Bill and Melinda Gates Foundation, highlight the issues. The research confirmed that food poverty is a strong determinant of child growth. In the two slums, 60% of children aged 15 months or older exhibited symptoms of stunting. Under five mortality in Nairobi’s slums is 151 per thousand births compared to 62 in Nairobi as a whole and 113 in rural Kenya. http://www.ncbi.nlm.nih.gov/pmc/articles/PMC3701841/ (Child Growth in Deprived Urban Settings by Jean Cristophe Fotso et al.). For those who survive, stunting and undernourishment impact a child’s life forever, limiting educational attainment and future employment possibilities and consigning the family to increased health care costs.